Click on a link below to tour select areas of this lovely duplex. Open and light, this lovingly maintained duplex was built in 1988. The property is neighbored on all sides by single family homes and the neighborhood is beautifully showered in pines. This property has been continually updated. 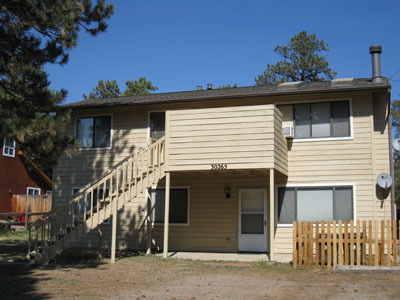 Rental income is $1,975 a month for both units with higher rents easily obtained. This is truely a turnkey investment or owner occupied property. Exterior painted with a solid stain in September 2010. Unit B painted in September 2010.